Back in the Pliocene era, 5 to 6 million years ago, Tenuta Larnianone was entirely covered from the sea. As a result of this, we can still see the characteristic layered soils filled with prehistoric seashells and the fossilized exoskeletons which increases the concentration of calcium carbonate of the soil, helping to retain moisture during the dry season and assuring a good drainage for grape vines. The multitude of soils within the same plot, rich in micronutrients, allows the vines to develop the deep roots in order to better resist during the dry period and to guarantee an optimal maturation of the bunches. 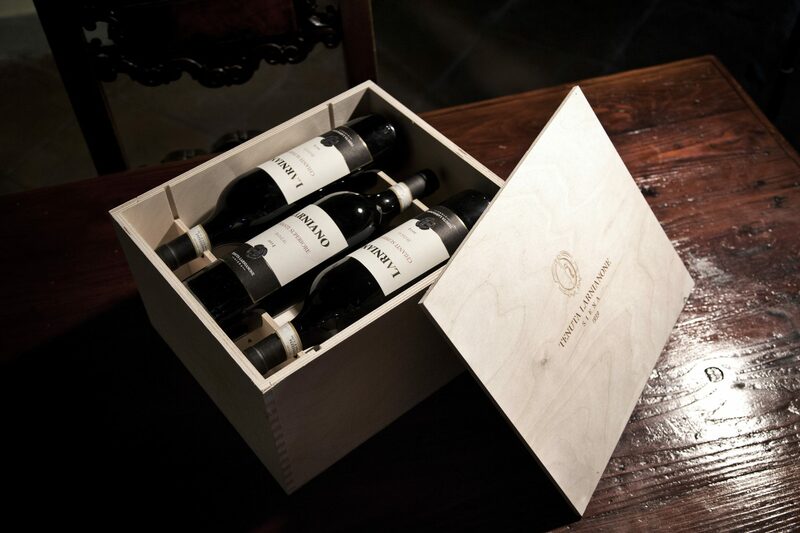 This is the defining characteristic of the single vineyard parcels which provides concentration and tannic support, resulting in wines having great structure and longevity. With viticulture we celebrate the fairly unique result of the ongoing millennary evolution of our territory: our wines are a living tale made of history, soil, hard work and human passion. 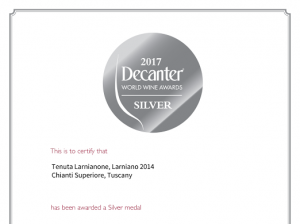 Built around the 1960’s, the Tenuta Larnianone wine cellar has been restructured several times and today serves as the wine-making and ageing cellar for our wines. 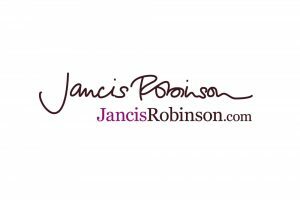 Every plot and grape variety of the estate is tracked with a specific code and addressed to different wine making process going through all these steps separately. 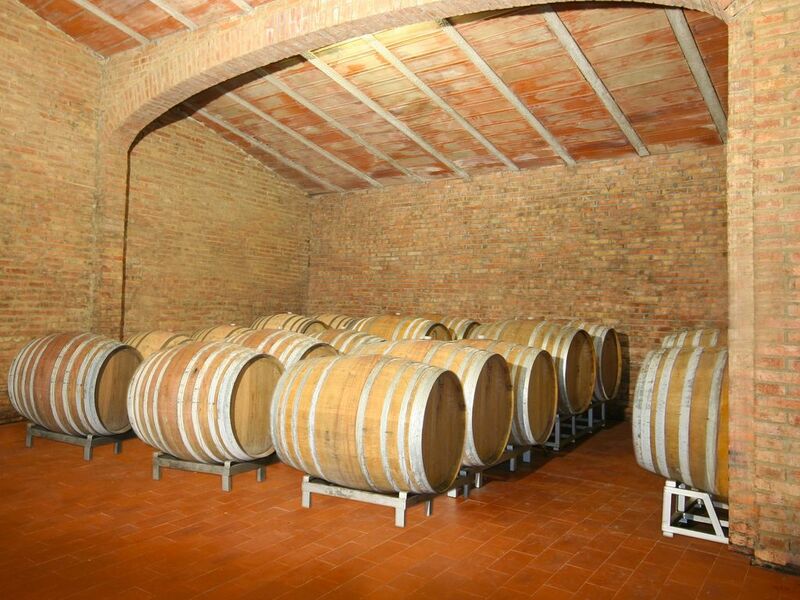 Fermentation is carried out in lined in concrete vats for about 14 days, depending on the wines, at a temperature of 28-30 degrees celsius. The use of both punchdowns and pumpovers ensures colour extraction, fine-grained mellow tannins, and preservation of aromatic compounds. 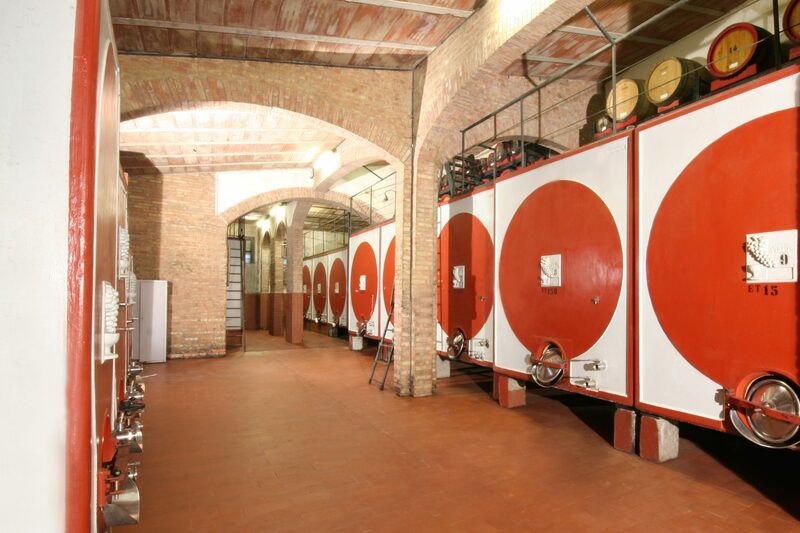 After the malolactic fermentation, the final blending takes place and the wines are then placed in hungarian and in french tonneaux in which they age for at least 7 months to complete the balance of acidity, fruit and tannins. 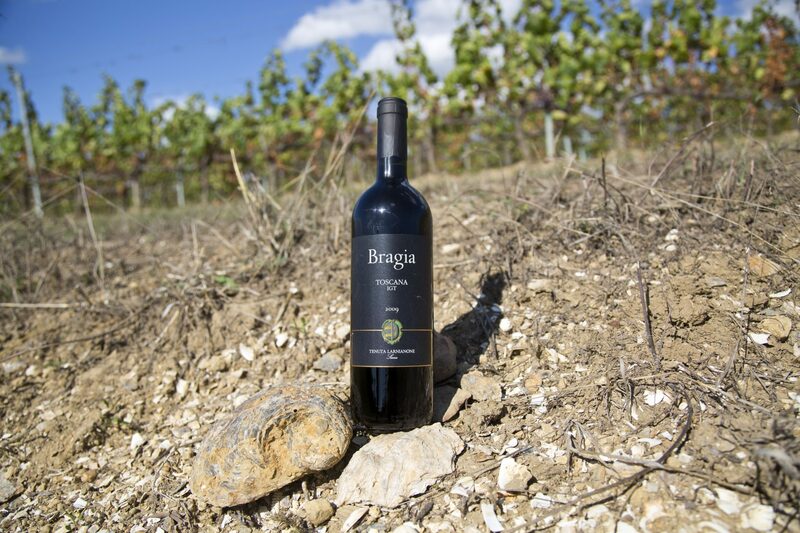 Bragia cru, composed of Cabernet Sauvignon, Merlot and Sangiovese stretches for 6 hectares and the composition of the soil consists of loose clay and sand with many fossils of seashell which bless the wine with a marked elegance. 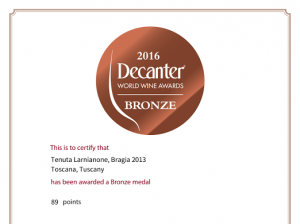 The vision behind Bragia wine is to challenge our terroir with international varieties while maintaining Sangiovese grapes in order to keep our Tuscan roots. Each harvest is made after an accurate summer pruning which takes more than a month due to hand picking of different varieties at various time intervals. After the must is vinified separately into concrete vats the wine is then blended with the correct proportion of different grape varieties which is defined in relation to the quality that the variety themselves reach and is then aged for 12 months in new and used French fine grain 400 liters tonneaux. “Bragia” quoted in the “Divine Comedy” by Dante is an ancient italian term of charcoal fire referred to the eyes of Charon, the ferryman of Hades who carried souls of the newly deceased across the hell river Acheron.